An elderly man with dementia who went missing from his Bristol home has been found, but needed treatment for minor injuries after having a fall. 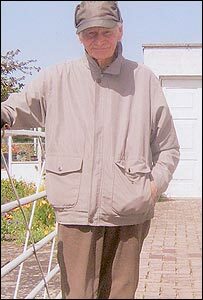 Police appealed for help to trace Dennis Spearing, 81, who disappeared from his house in Whitchurch on Friday. There were concerns he had not eaten since his disappearance and had missed taking medication for his condition. Mr Spearing, normally known as Don, had disappeared before and was once found 30 miles away, dazed and confused. Police said he was found in Whitchurch Lane.